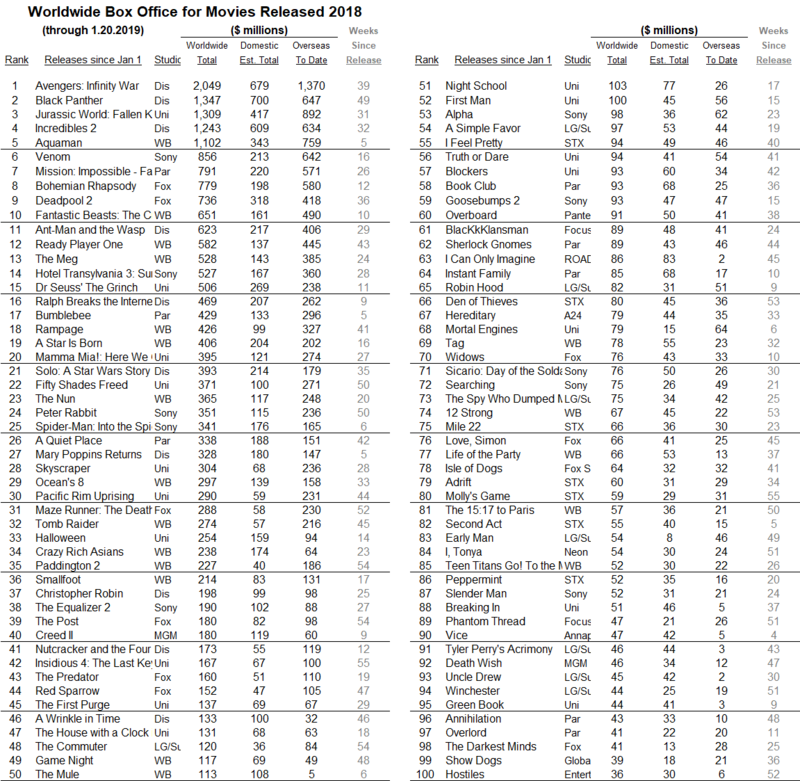 WORLDWIDE STUDIO SCORECARD. Here is an updated look at the 2018 film slates by studio. 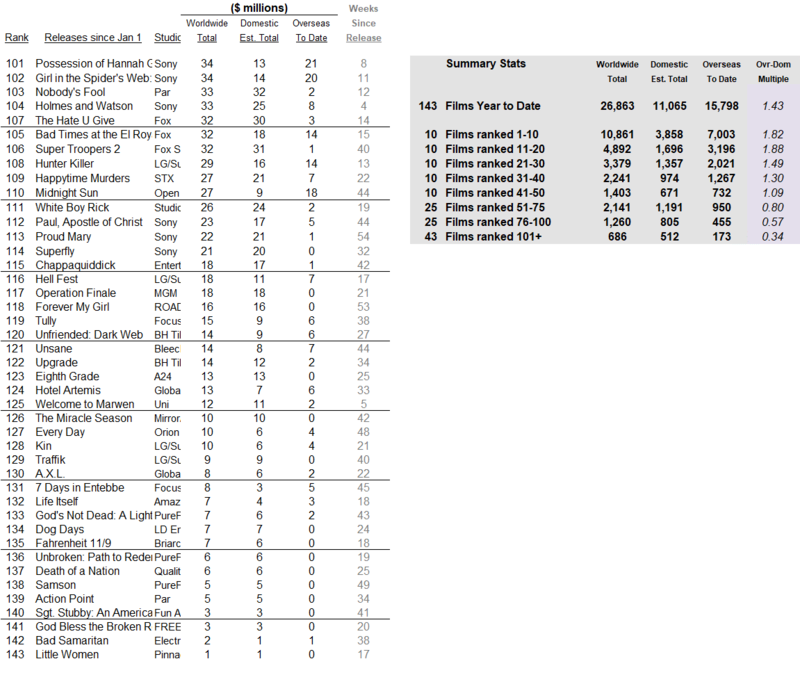 The studio totals also include 2019 dollars for films released in late 2018. We will continue to track the 2018 slates until mid-February, when we will switch to tracking the 2019 slates. BOX OFFICE. 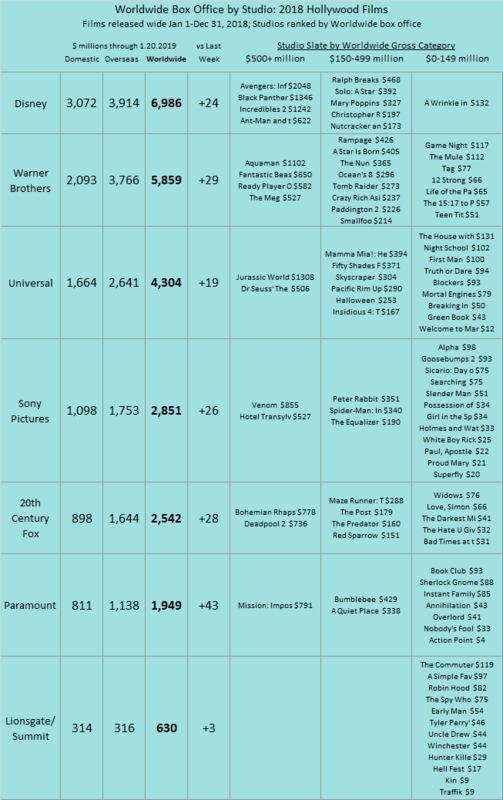 Looking at North American box office, 2019 is now -19% below last year’s comparable span and still -23% below the average for this point the past four years ($0.417 billion). Over the same period, Hollywood films under a billion dollars worldwide when we add overseas box office (that’s -35% below the comparable worldwide box office last year and -29% below 2017). The past six weeks in North America are now -13% below the same period last year and now -12% below the four-year average for the similar six-week period ($1.567 billion).